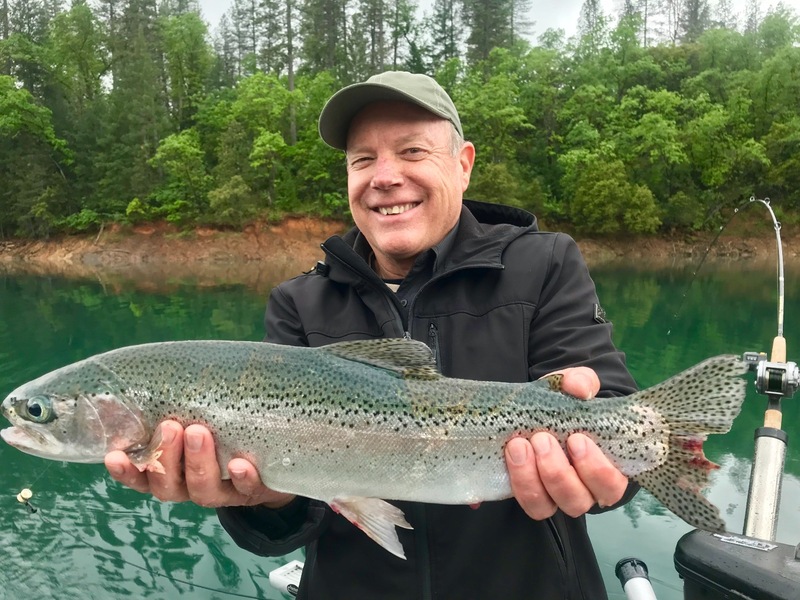 Bob hit this nice brown first thing this morning while fishing on Shasta Lake! Today we fished Shasta Lake and were targeting big browns and or rainbows. Our first brown came about 10 minutes after dropping in and our second came about 20 minutes later. The big fish bite was tough, but the first two fish were worth the trip alone. 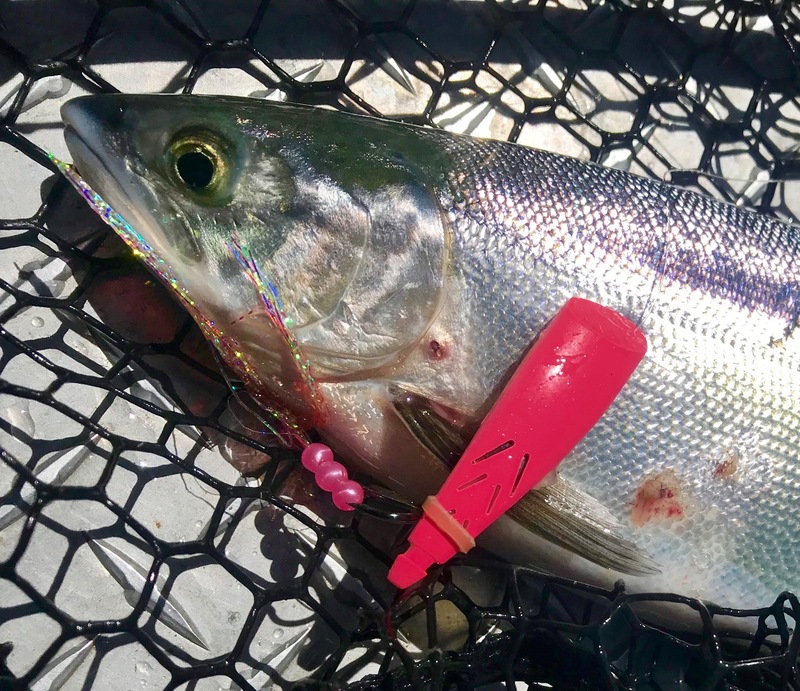 We managed to get into some smaller trout and bass action as well, but its been a slower bite on Shasta the past few days. 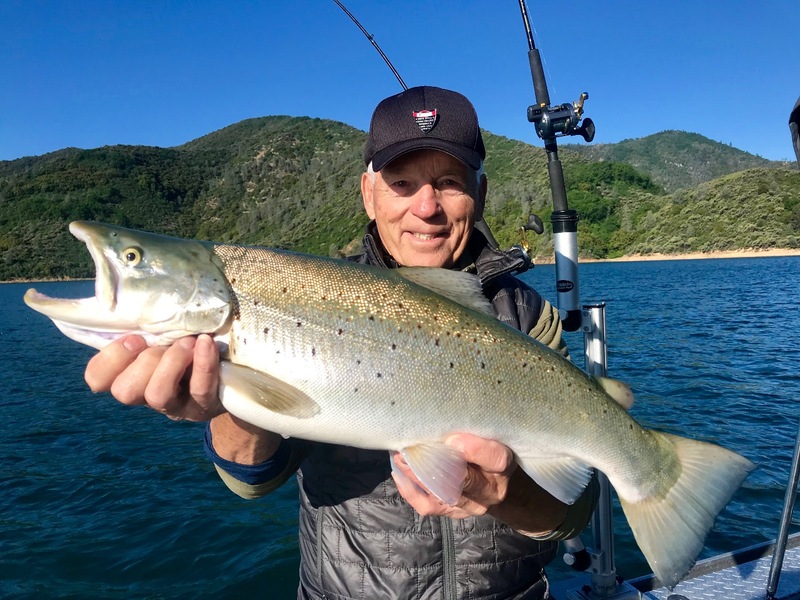 The trout are still in the 20-25' range and dont seem to be on a big bite above or below that depth. Spoons are still king in my boat, but other presentations are working as well. Things are looking up though and we are expecting another great summer on Shasta Lake.